Can someone list step by step how to get the game from FACEBOOK for us old, technically challenge, die-hard fans? Thank you. does "geek squad" make house calls ? You’ll probably have to create an account to see it. If you have a facebook account, when you log onto Facebook, it will be right in front of you when they're broadcasting. I have never sent it to a TV, but typically use a 24 inch monitor with my laptop. I might use a plain old USB or HDMI cord to connect to a 48" HDTV for this game though. I just Chromecast the AAC Network video recap to my TV it worked well. 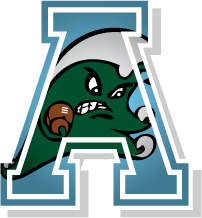 No letdown this week: Tulane knows it needs to stay focused. They talk about staying focused, but I don't like that the players and Coach Fritz also talk about UAB being a "lower team." Until we win 8-10 games for a few years in a row, we have zero right to talk about ANYONE being a lower team. This is bulletin board material for UAB. I don't like it at all. And Spencer Brown could be the best RB we've faced thus far. It will be a test for our D, which gave up over 400 yards to that FCS team last weekend. Last edited by DfromCT on Tue Sep 11, 2018 6:54 pm, edited 1 time in total. The Kickoff Countdown shows 5 PM kick off. Did they move it from noon? Sorry. Fixed. When I enter in the schedule for the countdown way before the season, the start time isn't usually set, so they're not always correct. I don’t use Chromecast but you shouldn’t have a problem. I watched a game this past weekend on Facebook Live and was able to mirror it on my Tv through Apple TV Airplay. Had no issues at all. Add Facebook to your Roku Player if you don’t already have it. On your Roku, download the Facebook Channel if you don't have it already. Then you can probably find the live Stream of UAB or CUSA. Others agree with you Dave. Not a good look. Will one be able to just "stream" the game from a specific facebook page if one already has a log in? if so, can anyone post the actual FB url to said game before the kickoff . Much obliged!